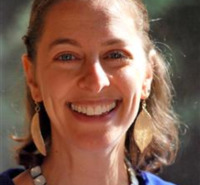 Dr. Rachel Singer is a licensed psychologist and earned her Ph.D. in Counseling Psychology from Boston College. She also previously received her teaching certification in elementary education. Dr. Singer has taught elementary school students, undergraduate and Masters level students, and has supervised doctoral students in an outpatient clinical setting. Dr. Singer completed a two-year postdoctoral fellowship at the Kennedy Krieger Institute at Johns Hopkins University Hospital. Dr. Singer also received predoctoral training from St. Johns Hospital in Santa Monica, Massachusetts General Hospital, and several school-based clinical placements. Dr. Singer specializes in child, family, and group therapy to address concerns regarding anxiety, behavioral issues, familial discord, depression, emotional dysregulation, social skills deficits, and academic difficulties. She has extensive training working within school, hospital, and community mental health settings providing comprehensive care for a diverse range of individuals. Dr. Singer has presented at national conferences and published in academic peer-reviewed journals. Specific areas of professional interest include multicultural competence, immigrants' mental health, clinician self-care and burnout, anxiety, military families, trauma, and family systems.